I don’t know about you, but my initial reaction when opening a survey in the mail, having a questionnaire pop up on my web browser, or being asked to give feedback in a shop, is usually a unhesitating “nope”. Feedback is meant to help people and businesses provide better products and services for us, the consumers – but sometimes we just can’t be bothered right? And that’s okay. Except when it comes to the census. If you are asking, “what is the census?”, that’s the first problem – or you aren’t old enough to need to worry about it, but let’s go with the former. A census, by definition, is an official count or survey, generally of a population. Of course to some this may seem… invasive, but in reality these surveys are meant to aid the government in recognizing who and what we are as a country. It helps them to pinpoint where our country excels and what areas of life may need a little extra support. Regardless of your hatred towards surveys (or the government), we have three good reasons here why you should reconsider and fill out the census. We aren’t lying to try and trick you – the census is only 10 questions. And no, these aren’t essay-style, APA-format required questions that will make you flashback to college, heck they aren’t even tricky trivia questions – they are short, easy to answer questions about you, your family, and your household. In the time it takes you to post on Twitter or Facebook about how much you dislike or disagree with the census, you could have completed the census. Twice. Oh there’s the catch. Many people don’t know this, but failing to fill out the census is actually against the law. While we are 99.9% sure they aren’t going to put you behind bars, you do face the potential to be fined. Before such drastic measures are taken, however, the government will send real, live, people to your doorstep to try and get those 10 answers out of you. Neither the fine, nor the solicitors, sound like a good time… you may as well just fill out the paper. We’ve said it once and we’ll say it again. The census is important – and not just for the government. 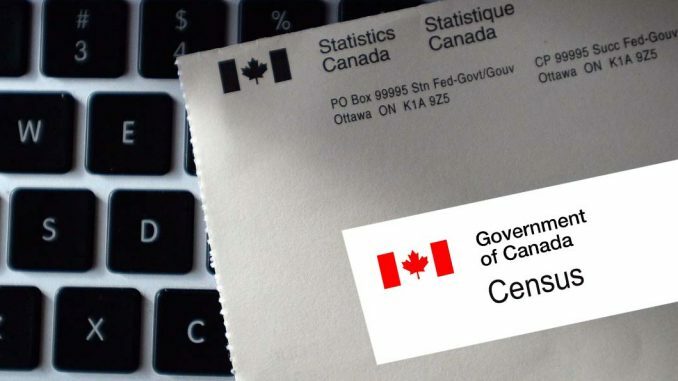 The type of information found in the Census helps the government to understand the types of families that live in Canada, the types of jobs being done around Canada, and much, much more. Knowing these kinds of details helps the government help us. In 2021 when the next Census finds its way into your mailbox, remember what you’ve read here today. Take 10 short minutes from your day and fill out the dang survey – you’ll not only save yourself the hassle of having of having to deal with census workers, but you’ll be doing a favour to your country.